Trust our irrigation company, in Cohoes, New York, to help you keep your yard looking healthy all year long. The goal of A J Lawn Sprinkler Co. is to provide your residential or commercial property with well-engineered and easy-to-maintain systems that always supply the proper amount of water to your home. Our experts specialize in installing, repairing, and maintaining irrigation systems for residential and commercial properties. Continuously owned and operated by Anne and Jerry Napolitano since 1973, our irrigation company features a team of qualified service technicians who are dedicated to meeting all of your irrigation needs, including the spring activation and fall winterization of your sprinkler system. We have installed thousands of sprinkler systems, from small residential systems to country club, golf course, and commercial corporate park irrigation systems, and look forward to working with your property as well. 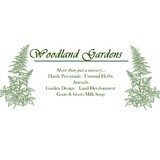 Woodland Gardens is a family owned nursery and landscaping business specializing in unique designs consisting of stonework, perennials, herbs, and native plants. As growers, we understand the unique requirements of plants, make sure the right plant is used in the right area, and that the client feels confident with the plant material chosen. The condition of your home's exterior and surroundings can directly effect your property value, yet many homeowners neglect their homes exterior due to lack of time or skill level. Like everything inside your home, the exterior requires maintenance. We're here to help! It is not just a "luxury service" - Regular maintenance and updating of your home's exterior and landscape will save you money in the long run, increase your curb appeal, as well as make for a much more enjoyable outdoor living space. Come to us for all of your landscaping needs! We do Landscaping services as well as landscaping contract work. I look forward to working with you. 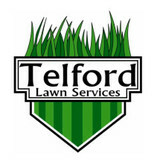 Telford Lawn Services was started in 2015 by Jonathan & Grace Telford with a vision to provide local homeowners and small commercial property owners the best all-around Lawn Care service money could buy. We specialize in Residential plantings and re-imagination of entire properties. We pride ourselves on our work and truly care about our customers. No matter what size job. We treat every customer as if they were family. You can call us anytime for help and guidance towards all things outdoors. CareyScape landscape design and development is a family venture, reserved and established January 25, 2006. The company started primarily as a landscape service company offering a variety of landscape services. With over 17 years of experience in the Green Industry, we have had the opportunity to work along with the most competitive Landscape companies in the Bahamas and one of the most prestigious golf courses in Nassau, Bahamas. This gave us the diverse opportunity to have worked on large and medium scaled private residential, commercial and industrial projects. Six out of those 17 years we once operated as The Edge Group of Companies. This venture afforded us the opportunity to work on the Nassau International Airport boundary Refurbishment and the development of Treasure Cove Gated Community that allowed us to witness the metamorphosis of these projects. Over the years we then deepen our exposure and enhanced our knowledge in the lawn service & construction industry and obtained certifications in the following areas; Landscape Design (which entailed: horticulture, pest management, hardscape construction, irrigation, lighting, drainage, interiorscaping & xeriscaping,) Decorative & Stamp Concrete, CareyScape alternative construction: Polyurethane Thermal Foaming, Rebar & Shot-Crete construction & metal stud construction. 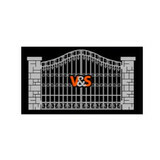 Landscaping Berkshire County for over 25 years. Lawn services in the Lenox area. Family Owned and Operated Four Season Lawn Care Company serving Clifton Park, NY and surrounding communities. We are committed to enhancing our clients’ most important investment by exceeding their lawn service needs with reliability and value. Imagine quality family time, rest and relaxation, and leaving the dirty work up to us. Your business is just as important as ours. Like any other turf, the lawn around your business requires attention and service. Our flexibility and ability to customize a lawn care program for your property allows your business to make a great first impression. We believe that our most valuable advantage to our customers is a high quality of professional and personal service. The owner is generally present during the main seasonal services, including the spring and fall cleanups, and for mulching and pruning. This means that the owner knows your property well, and oversees these and all other services that are done for optimal results. Rainbow Lawn Sprinklers is the leader in lawn irrigation and sprinkler systems. Located in Cohoes, N.Y. Rainbow Lawn Sprinklers has been designing, installing and servicing lawn sprinkler systems in Albany, Schenectady, Saratoga Springs, Clifton Park and the surrounding areas in the Capital Region and Greater Northeast for over 25 years. Lawn Logic is a full service lawn maintenance and landscape contracting company. We do seasonal maintenance as well as offer landscape services. No job is too big or too small! The best part about working in this service is the customer base. We're happy to complete your project and make your vision come true, but it's even more rewarding when our customers are so satisfied that they tell their friends and family about us. We're happy to accommodate for our customers and be sure to exceed their needs. If you don't find what you're looking for listed in our services - We Do That Too! In addition to the maintenance side of gardening, Saratoga Springs, NY gardeners can help you with garden design and choosing specific plants and grass types for your climate and area. Find a Saratoga Springs, NY gardener on Houzz. Narrow your search in the Professionals section of the website to Saratoga Springs, NY gardeners. You can also look through Saratoga Springs, NY photos to find examples of yards that you like, then contact the New York contractor who worked on them.